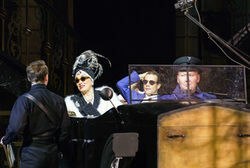 The UK and Ireland tour of Andrew Lloyd Webber’s award-winning musical SUNSET BOULEVARD starring Ria Jones as ‘Norma Desmond’ and Danny Mac as ‘Joe Gillis’ makes a stop on Morley Street and visits the Alhambra Theatre, Bradford from Monday 5 – Saturday 10 February 2018. 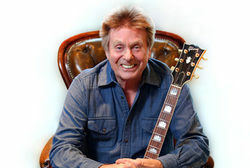 With a history that spans music hall, skiffle, Rock ‘N’ Roll, Theatre, Films, TV, Radio and even Circus (his Grandfather performed with Buffalo Bill), there is no denying that Joe Brown MBE has a varied and entertaining background. 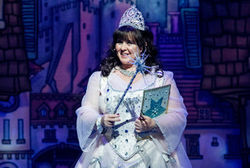 Yorkshire’s number one family pantomime, CINDERELLA, opened in December to packed houses and glowing reviews, and will run until Sunday 28 January at the Alhambra Theatre in Bradford. 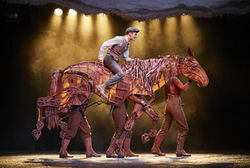 This includes the venue’s third Relaxed Performance, which will be staged on Tuesday 16 January 2018 at 6pm. 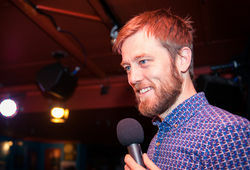 Start, created by Children & the Arts, is a three-year engagement programme of arts activity between selected cultural organisations and local schools that tackles inequality by working only with the children who need it most, who are at risk of missing out on a creative and cultural education. 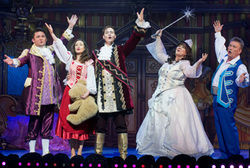 CINDERELLA PANTOMIME AT THE ALHAMBRA THEATRE, BRADFORD OPENS TO PACKED HOUSES! Yorkshire’s number one family pantomime, CINDERELLA, opened last Saturday to packed houses and will run for the next 5 weeks at the Alhambra Theatre in Bradford. 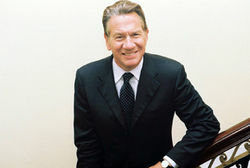 Politician, social commentator and TV documentary maker and controversial former MP for Kensington and Chelsea, Michael Portillo brings his stage-show Life: A Game… of Two Halves to King’s Hall, Ilkley on Monday 15 January 2018. 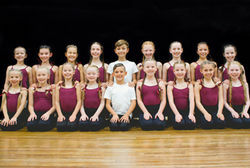 SUNBEAMS BRING A RAY OF SUNSHINE TO THIS YEAR’S ALHAMBRA THEATRE PANTOMIME CINDERELLA! 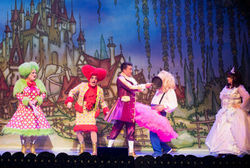 Preparations for Yorkshire's biggest pantomime, CINDERELLA, continue at the Alhambra Theatre in Bradford. 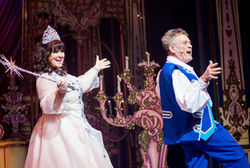 This year’s cast is led by Bradford pantomime king Billy Pearce, singer and Loose Women panellist Coleen Nolan and stage star Shane Nolan; and they are joined by an array of talented musical theatre performers: Yorkshire-man Jack Land Noble, Graham Hoadly, Sarah Goggin; and Sam Barrett.